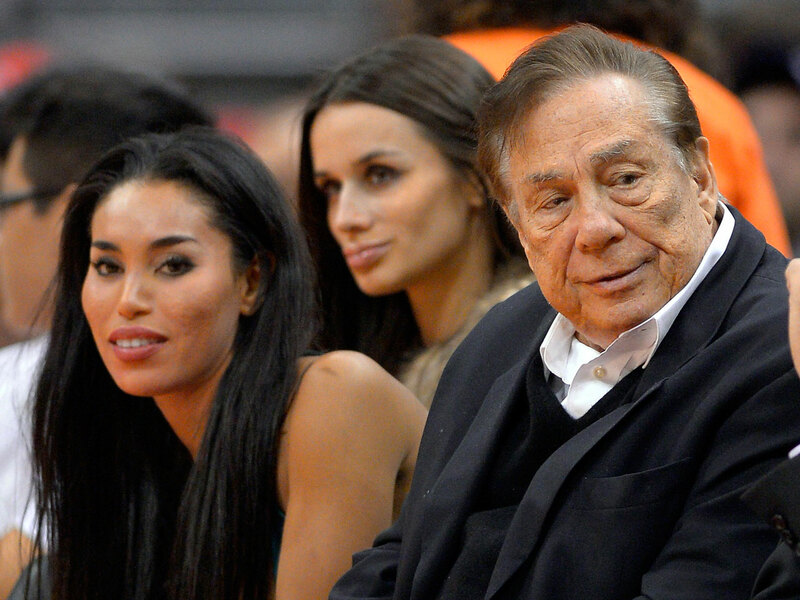 What are the NBA’s options with Donald Sterling? There is little doubt the Donald Sterling has a troubled history of race relations, punctuated emphatically by an alleged audio recording of him making racist remarks to a girlfriend. The fallout has been swift: current and former NBA players have publicly denounced Sterling, the NAACP is returning donations he has made and canceled a planned award ceremony next month and sponsors have fled. The shoe that has yet to drop, however, is official league action. NBA Commissioner Adam Silver has scheduled a press conference for Tuesday afternoon to discuss the league's investigation. It is Silver's first true test as NBA commissioner, and he vowed the league would "move extraordinarily quickly in our investigation." CBS News legal analyst Jack Ford told "CBS This Morning" on Tuesday: "The commissioner has very broad powers that allow him to act 'In the interest of the league.'" However, it remains unclear how far Silver's powers can reach so early in the process. Many have guessed Silver is likely to suspend the Clippers owner from participation in league activities, perhaps for up to a year. There is precedent, in the NBA and other professional sports leagues, for an owner to be suspended. Ford said: "It sounds like you're going to see that." If Sterling is suspended, he would be unable to attend games or team functions for the duration of the suspension and would likely have to appoint someone to take over the day-to-day operations of the team. CBSSports.com's Ken Berger reports the NBA is likely to suspend Sterling indefinitely while a more thorough investigation of both Sterling and what other legal avenues the league has will take a while to complete. Mark Cuban on Sterling controversy: "People are allowed to be morons"
The league's bylaws allow for Silver to levy a penalty of up to $1 million without needing the approval of other owners if he deems Sterling's actions have damaged the league as a whole. A fine is likely, Berger reports, because the league does that frequently to owner, as is evidenced by the Dallas Mavericks' owner Mark Cuban. Many, from LeBron James to Magic Johnson, have called for Sterling to be removed from the NBA altogether. In modern professional sports, there is only one precedent for forcing an owner to sell their team for incendiary commentary: Marge Schott, who owned baseball's Cincinnati Reds from 1986 to 1999. "They could try to force the owner to sell the team, but they'd have huge legal hurdles," Ford told "CBS This Morning." "It'd be tough to go into a court of law and say we're going to force him to give up his property, what he owns, because of his comments." CBSSports.com's Ken Berger reports there are few parallels between what happened with Schott and what is happening with Sterling. Schott was only forced to sell "after years of pressure from baseball and fellow owners, and only after General Motors accused her of falsifying car sales with the names of team employees at a Chevrolet dealership she had since sold. Even then, Schott reaped the financial benefit of the sale and retained one ownership share as well as 21 box seats and a luxury suite, according to this story from the Cincinnati Enquirer," Berger wrote. The league's owners are wary of forcing Sterling to sell his team, even if it would bring him a financial windfall. The league took over the New Orleans Hornets from previous owner George Shinn, but that was because of financial difficulties. The Clippers are a profitable team and Sterling is worth a reported $1.9 billion, so money is not an issue in this case. Plus, taking such measures would almost assuredly bring a lawsuit from Sterling and a long, expensive legal fight. Given that only a few days have passed since the recording first was made public, it would be hard to imagine a definitive move being made by Silver on Tuesday. The most likely possibility would seem to be an indefinite suspension while the NBA conducts a thorough investigation into not only this incident, but Sterling's past as well to try to determine if a pattern has developed. Silver could also issue a fine right away while leaving open the possibility for additional financial penalties pending the outcome of the investigation.